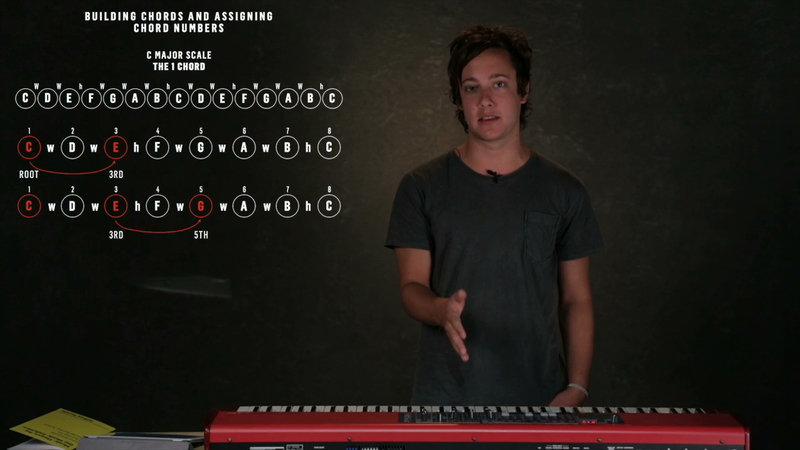 Jeffrey teaches you how to build chords and includes practical examples from some of Bethel Music's songs. 2 Chord – starts on the 2nd note of the scale. Root of this chord is the D, 3 is the F and 5 is the A. The definition of a major chord is 2 whole steps, then a whole step and a half step. Or 4 half steps plus 3 half steps. The definition of a minor chord is the opposite – a step and a half, followed by 2 whole steps. Or 3 half steps plus 4 half steps. 7 Chord – Starting on B = B,D,F – a diminished chord – 3 half steps plus 3 half steps. One Thing Remains – Verse Chords: F major, C major, G major also know as 4,1,5 (National Number System). It doesn’t matter what key you’re in if you are using the Number System and you know your scales well – you can transpose easily this way.